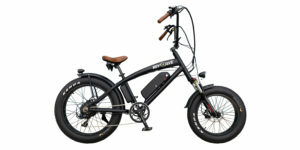 The IZIP Urban Cruiser Enlightened was an electric bike ahead of its time in my opinion. 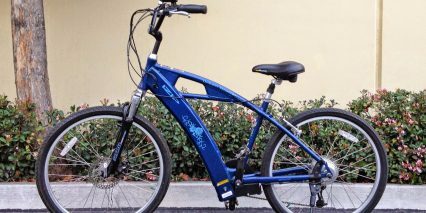 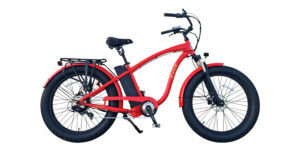 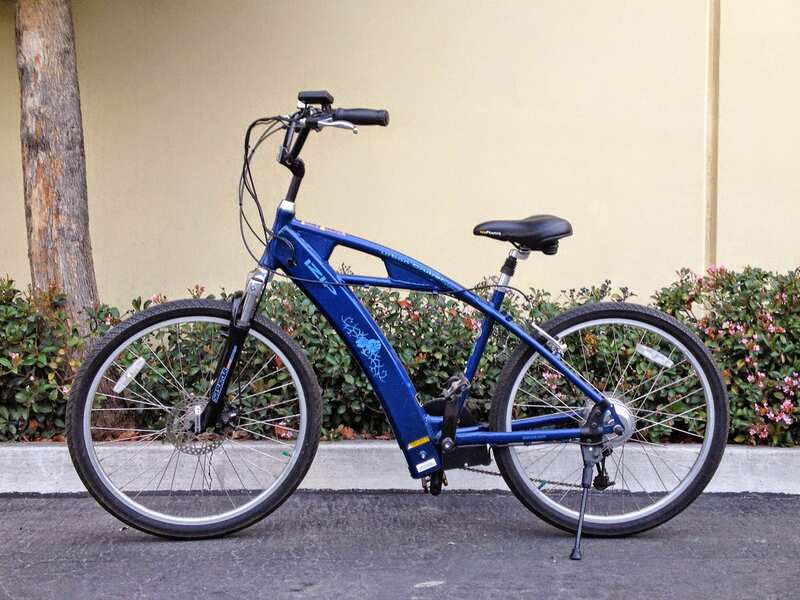 The frame balance, with integrated downtube batteries, and torque sensing pedal assist was top of the line in its day and although the battery pack could not easily be removed, it did help to improve the aesthetic over other ebikes which relied on rear rack style batteries. The motor wasn’t especially powerful but benefitted from a smooth, responsive torque sensor which helped to extend range and make for a natural feel. 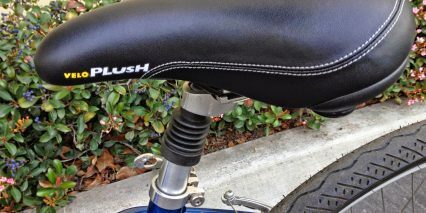 The best part about it for me was the upright, relaxed seating position. 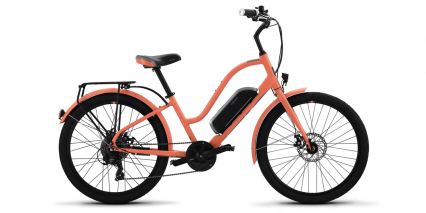 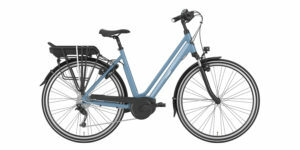 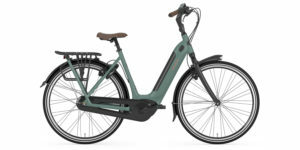 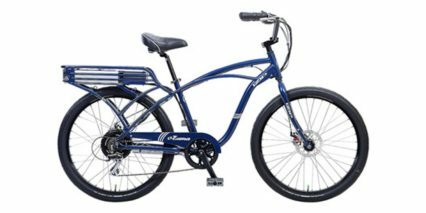 Not only does the Urban Cruiser Enlightened feature swept back high rise handlebars, it also has padded comfort grips, a Velo Plush saddle, a suspension fork (without lockout or much adjustability) and a seat post shock. 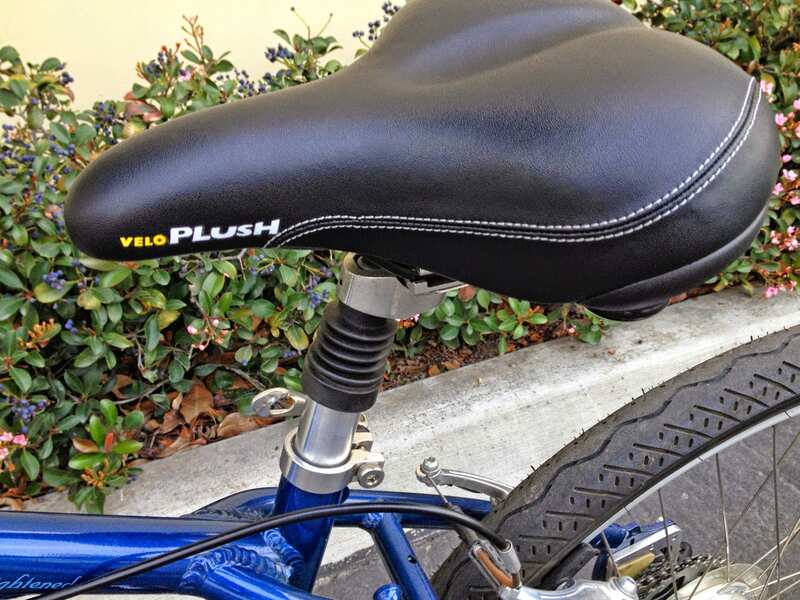 This thing is comfortable! 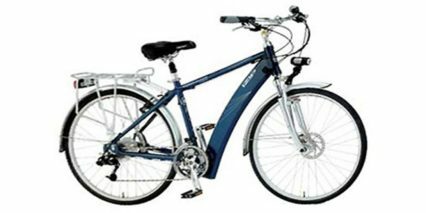 Note that because it was sold new around the year 2009, these days the only way you’re likely to see one is used at a garage sale or other second hand marketplace. 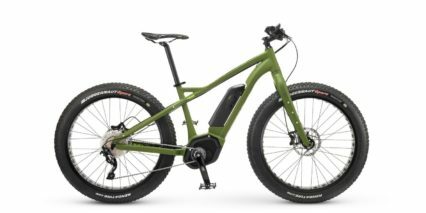 I was able to test out a “new” model at a shop in Southern California called the Electric Bicycle Center which has been around for many years and helps to liquidate old Currie Technologies bikes. 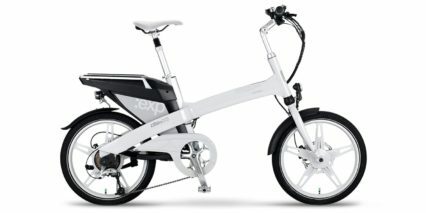 They sell this model for ~$500 and it comes with a replacement battery (which is quite the bargain in my view). 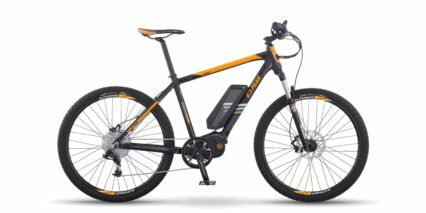 Still, it lacks a digital display, there’s no throttle mode and the power is very weak compared to newer bikes. 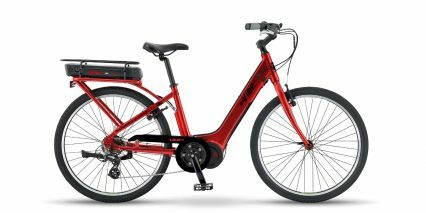 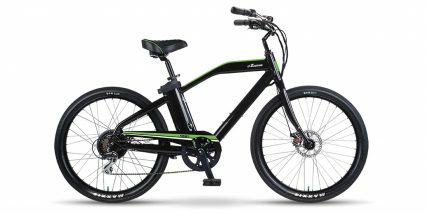 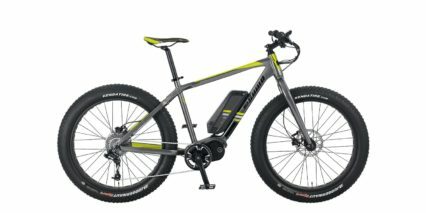 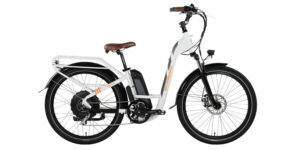 The motor powering the IZIP Urban Cruiser Enlightened is very similar to the one that powers the 2009 IZIP Trekking Enlightened! 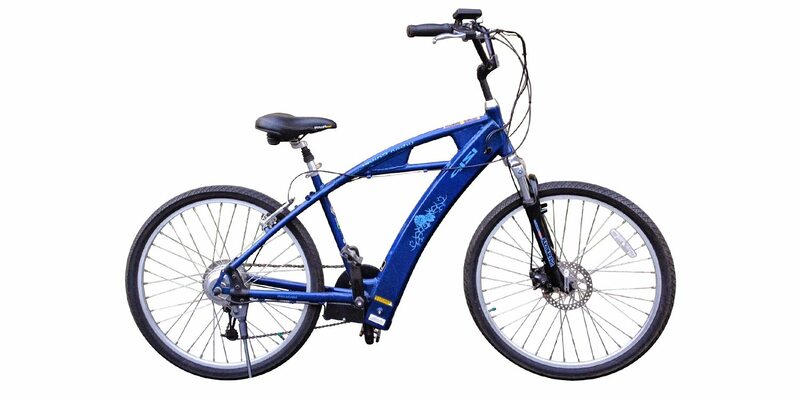 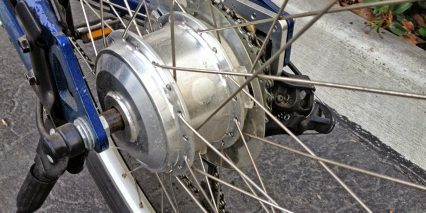 Both bikes used an efficient, light weight 180 watt geared rear hub motor. 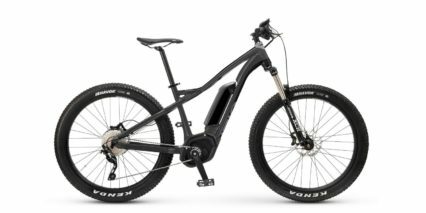 It operates very quietly and actually produces decent zip and torque for its size but won’t perform well climbing hills or under larger riders. 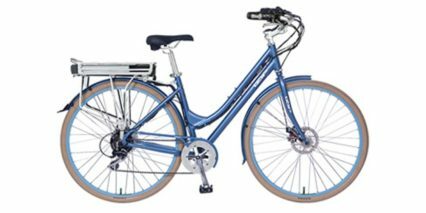 The saving quality of this motor is that it’s activated with a torque sensor that ensures you are pushing hard before it will activate. 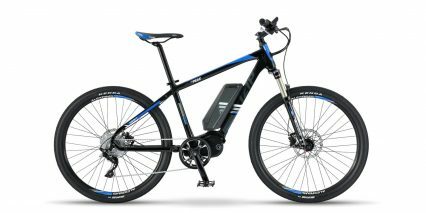 In this sense, it splits the work with the rider and is therefore capable of reaching longer distances despite the small battery size. 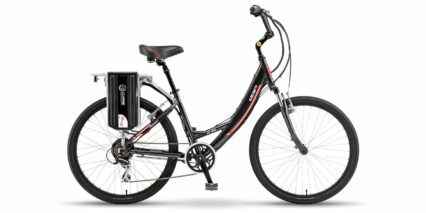 The battery pack on this ebike is just a 24 volt 10 amp hour setup. 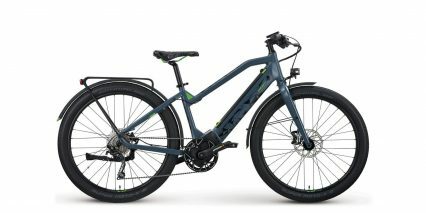 It’s on the small side in terms of power and range but is very well concealed right within the downtube. 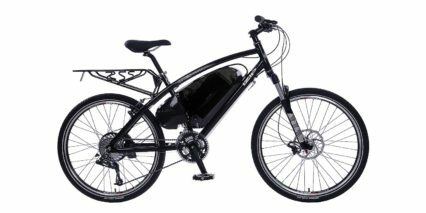 This, combined with the smaller motor, makes the bike very stealth. 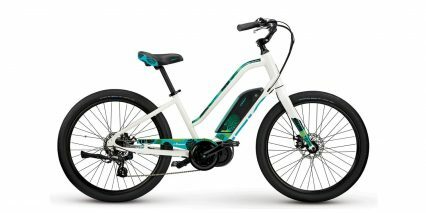 People may not even realize it’s electric at first and that’s kind of nice. 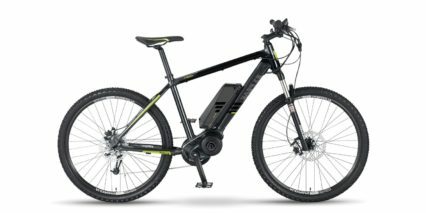 The downside to this battery configuration is that it’s not easily removable… and this means you’ll have to bring the entire bike near the electrical outlet in order to charge it. 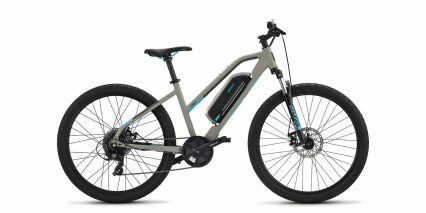 On the right side of the downtube is a little plastic slide cover that covers the charging port and the included charger should only take ~3.5 hours to completely fill the pack. 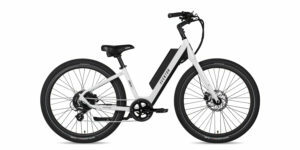 The cells inside use high-end Lithium-ion chemistry that is known for being light weight and long lasting. 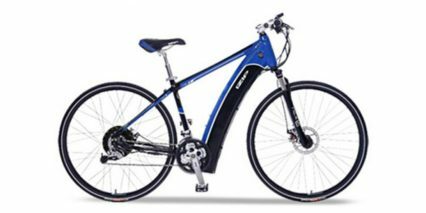 The bike I tested in this video had an original pack and is still running well because the shop always keeps it away from extreme heat and cold and also avoids overcharging or letting it run dry (stay between 20% and 80% for best results). 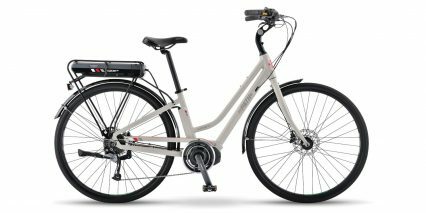 Operating the Urban Cruiser Enlightened is very simple. 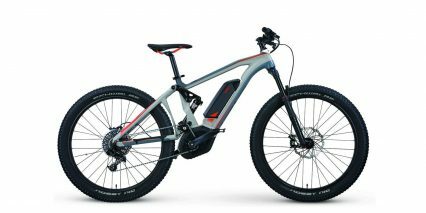 Once it’s charged, just press the on/off button on the LED display panel which is located on the left handle bar. 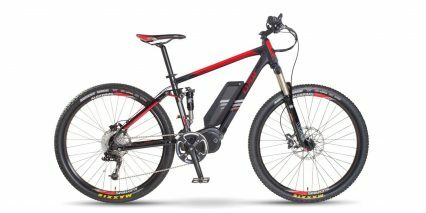 It lights up a series of five red LED’s that show your estimated battery charge level and five more red LED’s that show your assist level. 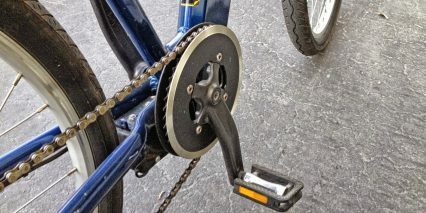 The lower levels of assist use less power but don’t give you the same boost as the higher ones do. 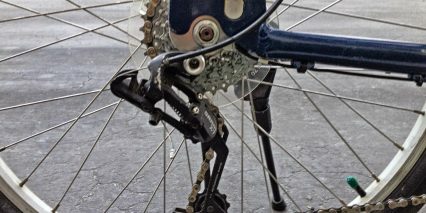 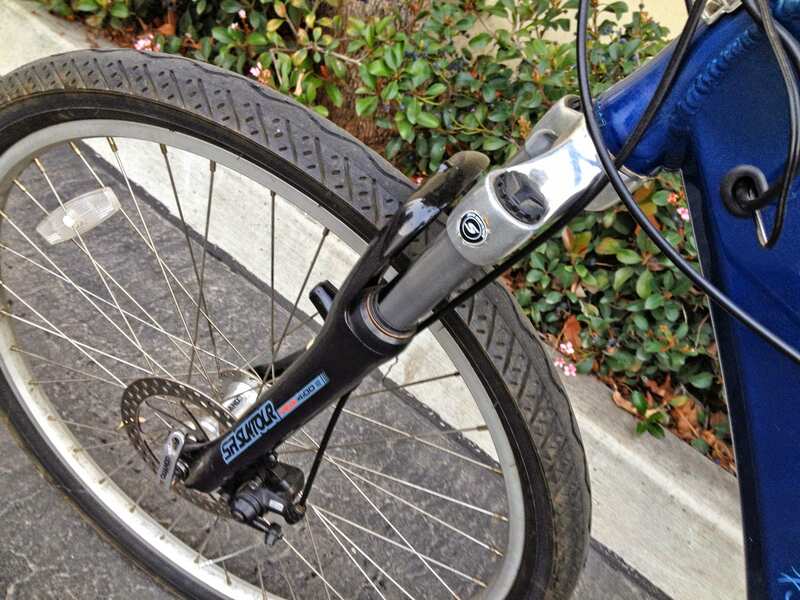 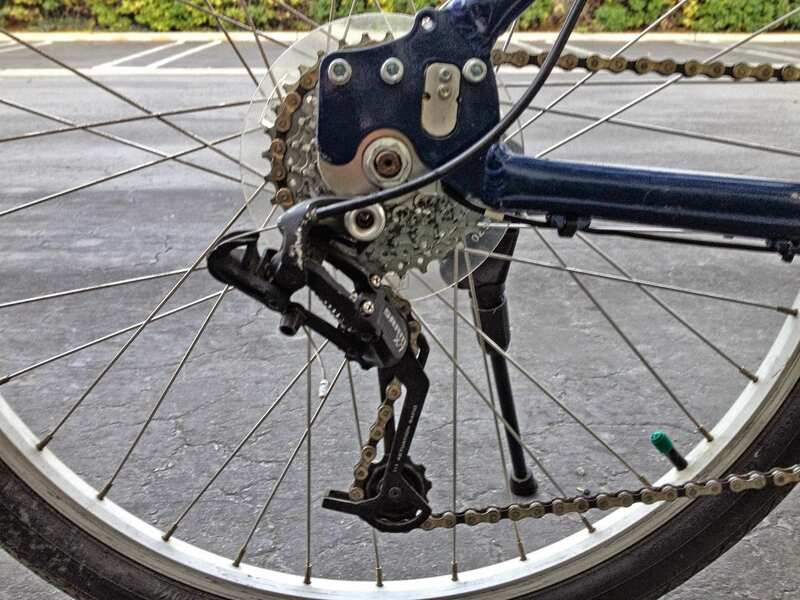 From there, you simply begin pedaling and the strain gauge located at the rear right-side droput will measure the strain in your bicycle chain. 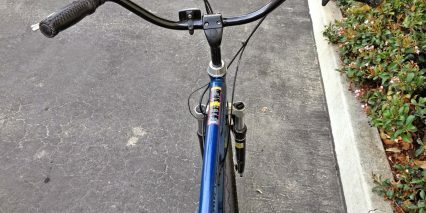 When the strain increases, it activates the motor and you get a little boost. 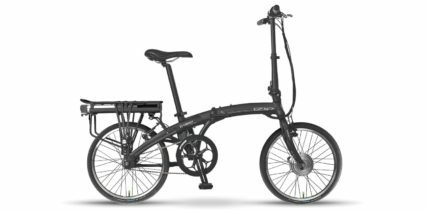 When you need to stop, the motor actually cuts out for safety when you pull the Tektro mechanical brake levers. 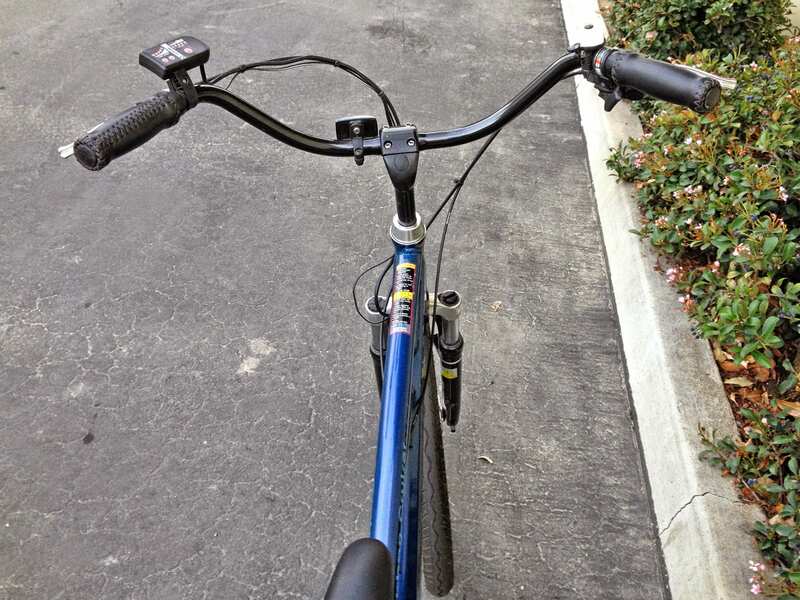 Each lever has a built in switch that sends a signal to the controller when pulled. 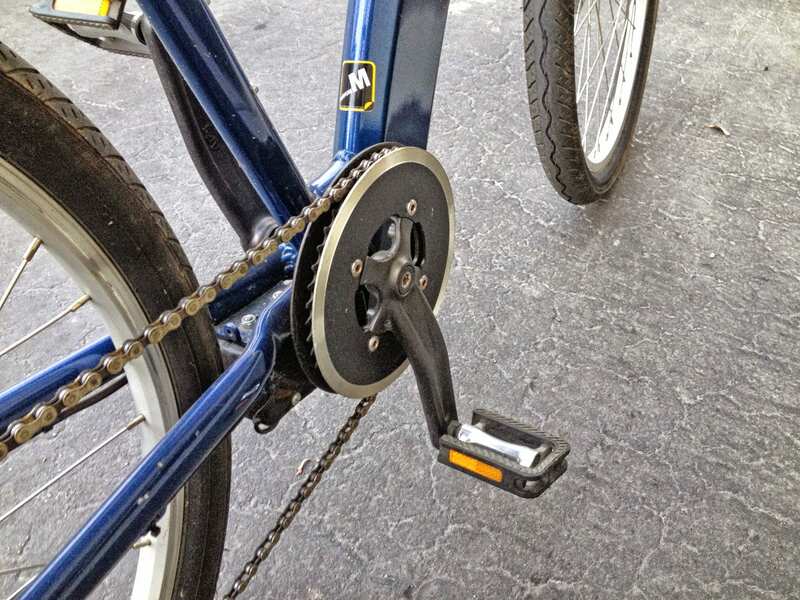 It’s a neat setup and one that helps to reduce wear on brake pads and the motor. 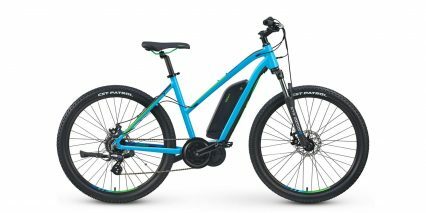 The brakes themselves are actually fairly unique, the front uses a mechanical disc brake with 160 mm rotors and the rear uses a v-brake setup. 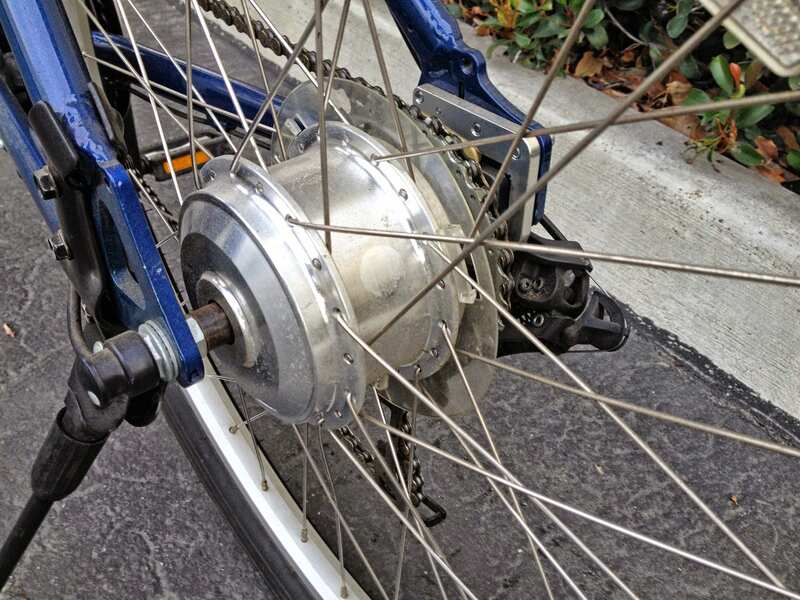 I think they chose to mix two systems because adding a disc brake to the rear would further complicate and crowd the hub which holds the motor and an eight speed cassette. 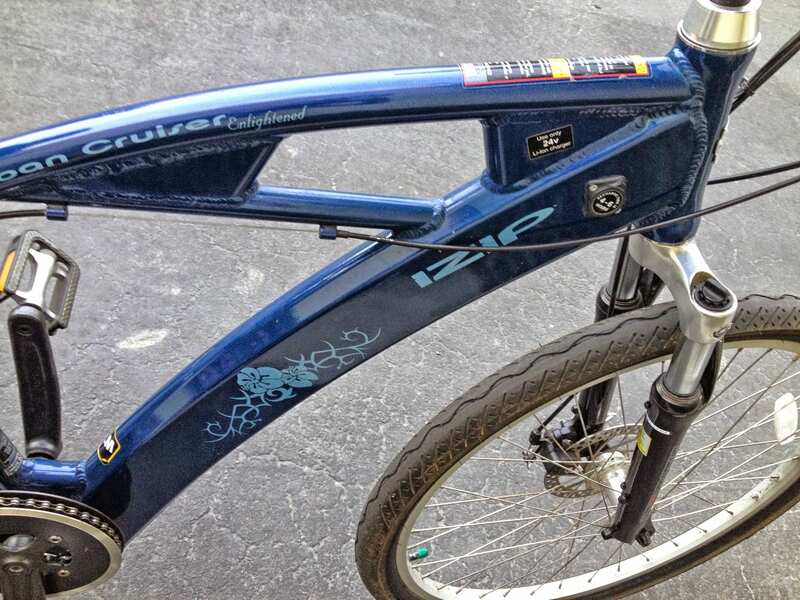 All things considered, at around $2,000 this was a pretty sweet deal back in the day. 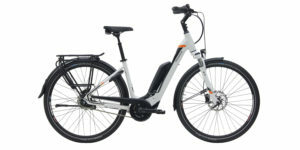 These days (around 2015 when I reviewed it) the bike would be considered weak but it’s hard to argue with the comfort and amenities it offered. 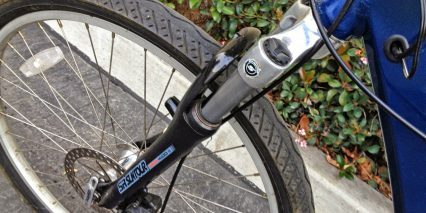 I love the suspension fork and seat post shock and was very impressed with the water bottle bosses on the seat tube! There are some ebikes today that don’t include these… it also has bosses on the seat stays for adding a carry rack and you could easily add fenders as well. 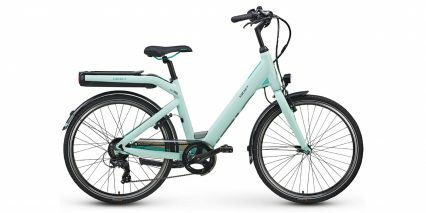 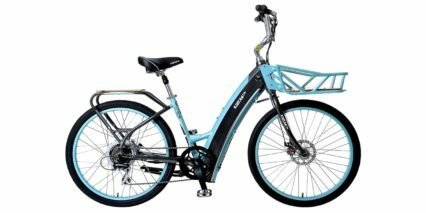 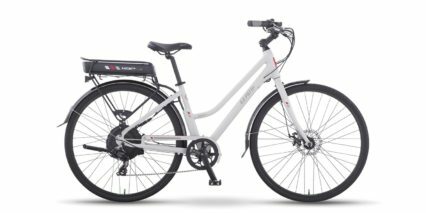 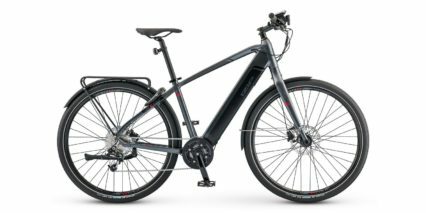 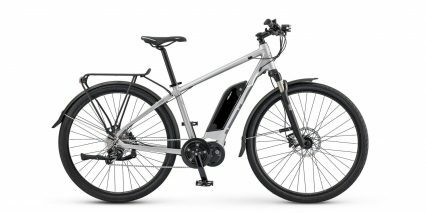 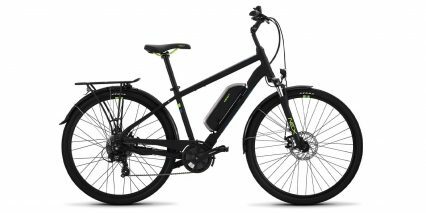 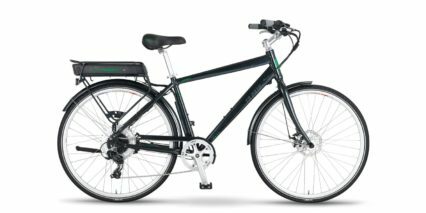 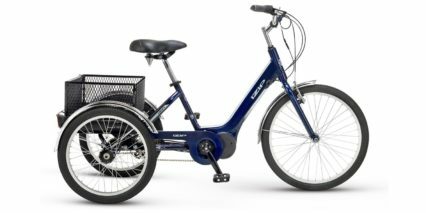 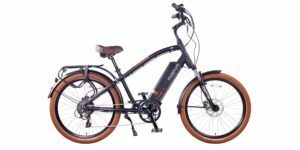 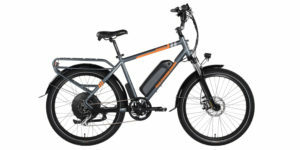 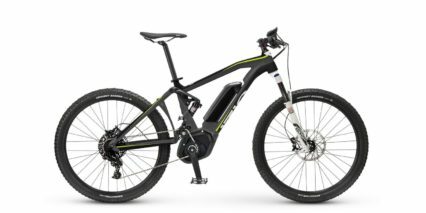 I always have mixed feelings when reviewing older ebikes. 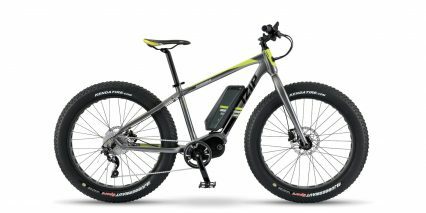 I like to celebrate the heritage of companies like IZIP and Currie Technologies but am hesitant when it comes to batteries. 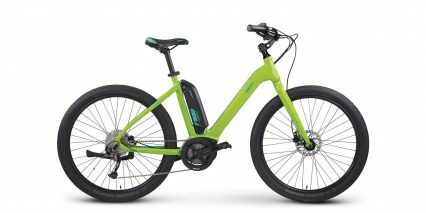 Getting replacement packs can be difficult and expensive. 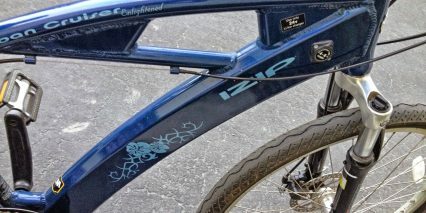 At least with a longstanding company like this, you get some support. 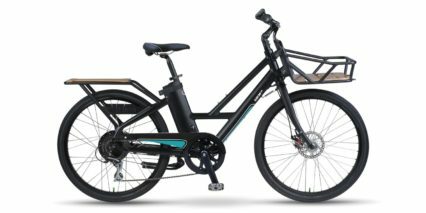 And if you buy from a shop, they may help you out as well. 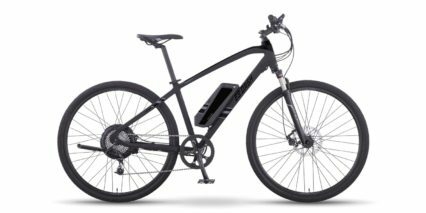 The battery pack is not removable which makes it difficult to charge when commuting and also hard to store away from the heat and cold of outdoor environments, at ~50 lbs it would be heavy to carry up stairs or mount on racks of busses, cars etc.